Today we discuss video transcription. Never heard of it? Don’t think it applies to you? Then you need to read this article! Here we explain the importance of video transcription, how it’s overlooked in lots of productions (big and small) and how it can make your life easier on a project of any size. It’s no surprise to see that media and entertainment are the most popular and fastest growing industries today. Technology is advancing at rapid speeds and it’s now easier than ever to watch new movies and the all time greats. With the likes of Netflix dominating the streaming market, consumer demand is greater than ever before. 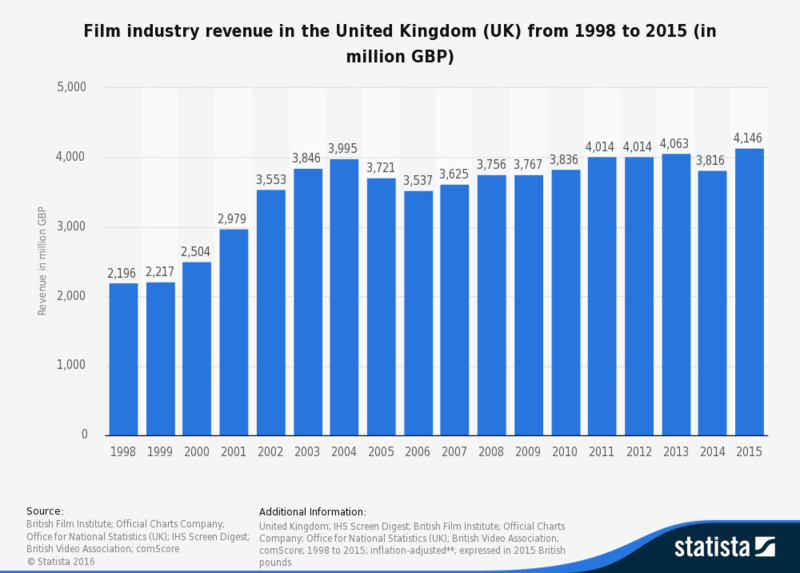 Although the film industry revenue declined in recent years, the revenue figures peaked in 2015 as the UK alone had a turnover of around £4.15 billion. The box office revenue for UK based films also peaked dramatically in the same year, producing around $9.4 billion worldwide, dropping to $6.5 billion in 2016. Independent filmmakers in the UK have been busier than ever over the past 10 years, with over 2,500 films being made between 2007 and 2015 alone. So as you can see, movies of all lengths and genres are being released every year and the need for reliable post-production transcription services is also growing at huge rates. Transcription related services are used regularly by TV and film production teams, more than any other sector of business, in fact. Video editing, depositions and focus group recordings are just a couple of the types of TV/film/video that transcription benefits during post-production. Although not the sexiest of subjects, Valerie Randall from the headquarters at Take 1 TV will explain what a post-production transcript is, how they benefit a production team and why it’s important to work with professionals. Post-production transcription is a word for word account of a film, video or documentary – 100% accurate. The transcripts are an important element for all members of the production team as it contributes to the smooth running of the post-production process. The transcripts are only ever produced after the production of the feature is complete. Why? It’s quite simply to save time and money. You may think that producing the transcription scene by scene as you go along would actually save precious production time, but it could in fact become a pointless exercise. What if specific pieces of dialogue need to be changed at the last minute? What if a heavy-dialogue scene is completely wiped from the final production? More often than not, this type of work which requires experience and precision is outsourced to a business or professional who has dealt with film/video transcription on a day-to-day basis. Having said that, some production teams actually decide to cut out this process by producing all transcription in-house, and not necessarily by somebody with the expertise required. The less experience – the lesser quality transcript. Having a written script is just one thing. Post-production transcriptions also include music cue titles, on-screen captions and details of each scene. Finding specific scenes within a movie couldn’t be easier to identify, thanks to timecodes and timestamps. Timecodes are essentially a series of numbers created in a sequence via a timing system. They’re added to film/video in order to facilitate logging, file organising and make searching for specific elements more simple. Picture this. You have a number of sections of dialogue building up that you need removing quickly, or small sections of scenes to be chopped down. Timecoding to the rescue! Timestamps are more often used to match up transcription text with a specific scene. This makes the job a lot easier for the editors to locate segments they want to edit during post-production. How beneficial are transcripts during post-production? Transcripts for post-production hold a number of benefits, making them a crucial aspect for any production team. Let’s imagine that your short film is to be shown in three different countries all speaking different languages. Once your transcript has been finalized, you can simply send it over to a translator. This will make the whole process quick and efficient. Subtitling is also made simple thanks to transcription. Whether being added in the titles’ primary language or another, these subtitles will benefit an audience who may be deaf or hard of hearing. Having a professional transcript during post-production is essential to the smooth-running of the production process. Again, this will save you time and money. Is it essential to hire a professional? Companies and professionals offering transcription services are qualified specialists who are fully trained and therefore reliable. Transcription is just one service, but many areas can also be covered by the same business. These include close captioning, translation, subtitling and creating meta data lists. We’ve personally had issues in the past whereby those with small production budgets have decided to go DIY and create the transcript themselves. They’d have attempted to edit a video that isn’t compatible with the device/browser where the film was to be viewed (purely online, I believe). 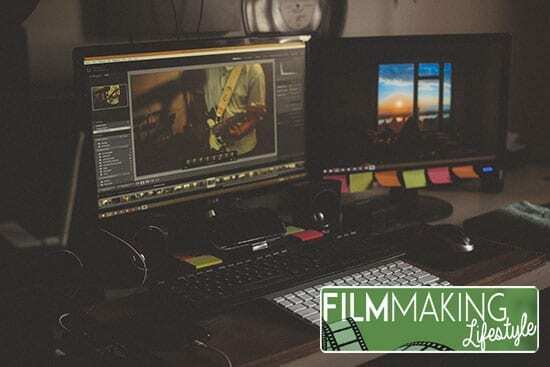 Those people who have the right experience are able to take files and encode them, which in turn will save the person editing the video valuable time. The encoding process essentially means converting from one format to another, ideal for web applications and closed captions. In the majority of cases encoding is used to compress large files, in order for them to decrease the load time without losing any quality. For those who are part of a big team working towards a deadline, you can imagine just how useful having a pro create a transcript could be. Is video transcription a video editor’s one true love? All eyes are on the video editors during post-production as many important challenges are to be faced at this stage. The editors are the ones that add the special effects, imagery, music and colour correction. Each a complex process that helps bring a video or film truly to life. When distribution time comes calling, video editors are often required to provide as-produced and as-shot scripts along with the complete production. An as-produced script includes all scene breakdowns (along with detailed descriptions), speaker identification, act breaks and immaculately accurate dialogue. It doesn’t matter whether you’re part of creating a feature length film, documentary, TV or interview series, detailed transcription is a task which requires skill, concentration and precision. Are they a video editor’s one true love? I think so. Do you already use video transcription? How has it helped your film or video project in post-production? Valerie Randall is a member of the video transcription team at Take 1 TV. 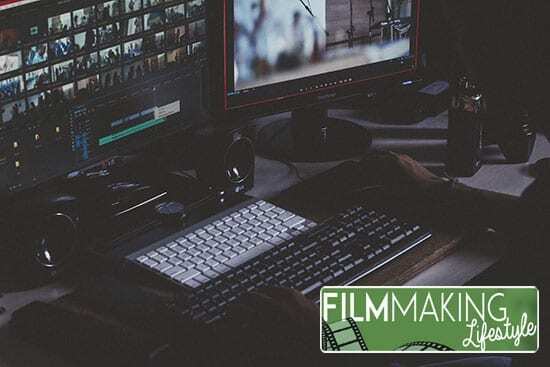 Take 1 is proud to be the trusted provider of transcription, captioning and translation services to major production companies, studios and networks in the UK and the USA. I’m glad you mention how transcription can also help cover close captioning, translation, subtitling, and creating meta data list. Making sure it is written correctly, and timed to match your production, would probably help with accuracy. When you’re hiring a professional to do the transcripts for your production, you’d probably want to research the company, looking into past services, and then meet with them so you can talk about the type of services you’re looking for in order to ensure they’re up to the task.